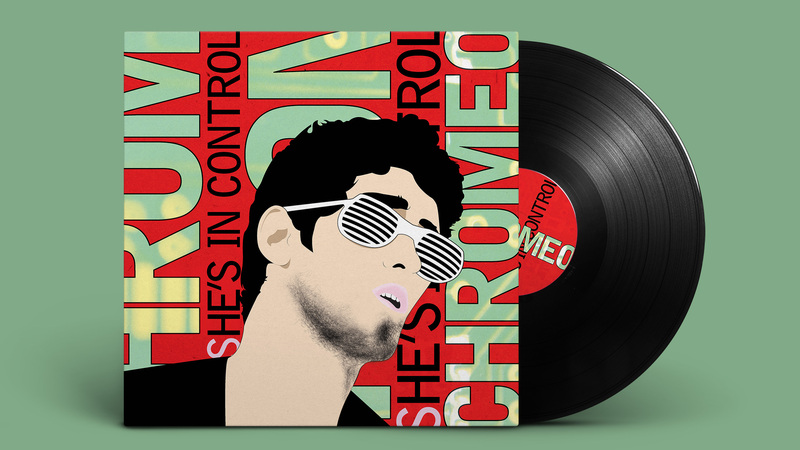 The objective of the project was to create the vinyl case for an electro-funk band Chromeo, as well as a band poster. 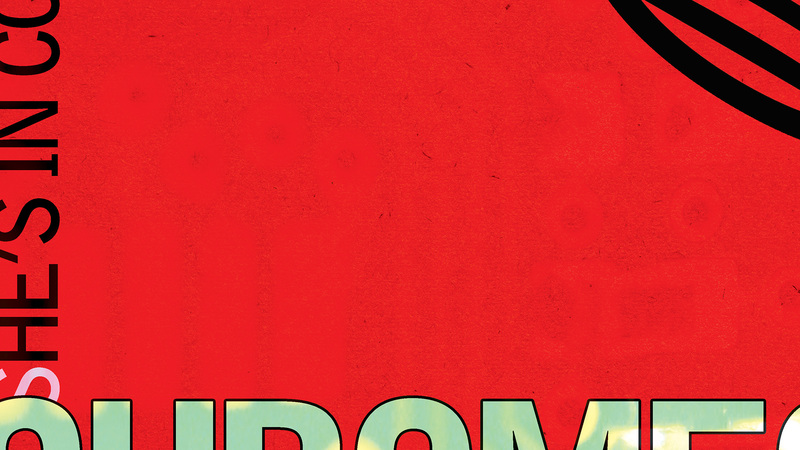 Electro funk is a fusion of electronic music and hip-hop. It usually encompasses the sound of drum machines. If vocals are present, they are usually present with electronic distortion or with the use of a talk box. 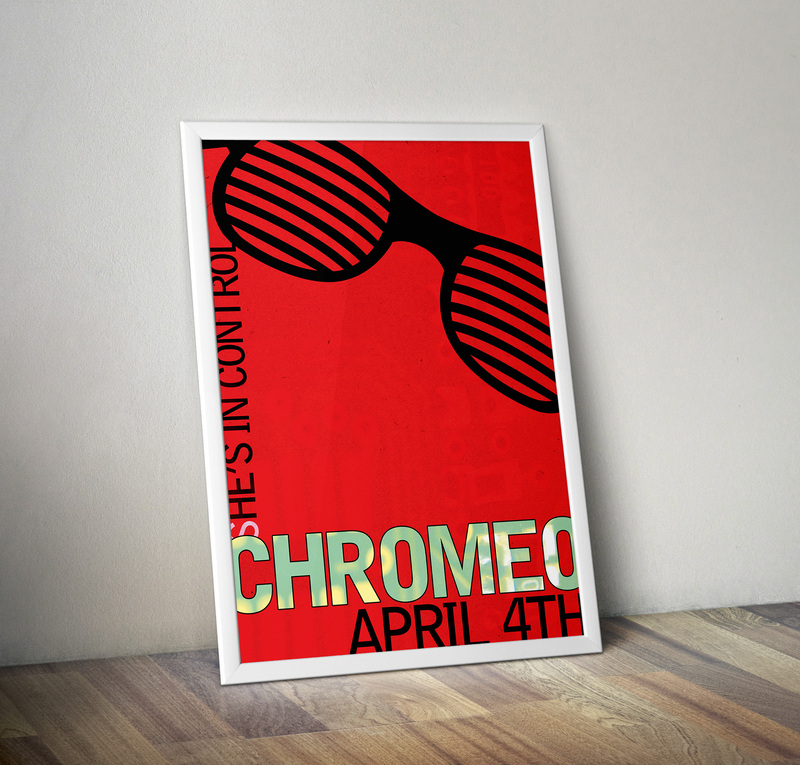 Bold colors are used in the design to capture the feel of electricity and funk. 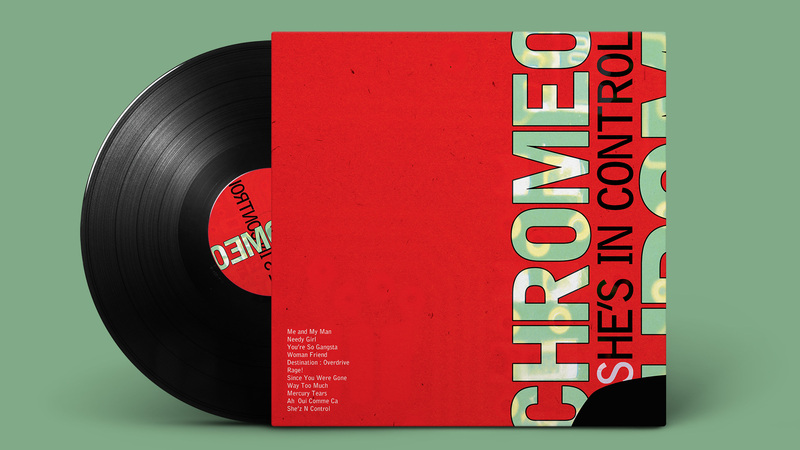 A clipping mask is used on the board of a micro chip to create the name of the band “Chromeo”. The hints of yellow moving through the green type create a feel of energy. 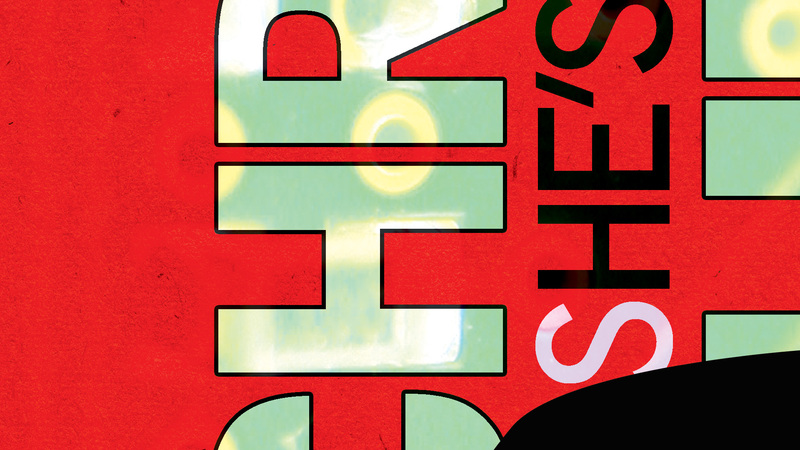 The micro chip is also used as a very subtle motif in the red background. Noise is added to visually add distortion to match the sound of the band.